Faculty, staff, and managers are encouraged to take part in the Learning & Development courses at Pitt and online. Programs and workshops are offered to the University community by the Organization Development department to promote professional development, leadership, and performance management. Programs for supervisors and managers, the Faculty & Staff Development Program, and University learning resources are all available to employees who are looking for educational opportunities online and on campus to fit their schedules and interests, and help them reach their professional goals. 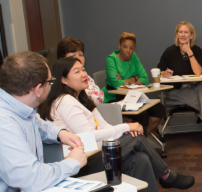 Individuals have the option to engage in professional and personal development opportunities by signing up for one of Pitt's workshops for faculty, staff, and supervisors, including the Faculty & Staff Development Program and Supervisor Foundation Skills programs. Individual opportunities are available in the fall and spring, with topics ranging from technology and leadership to health and finance. 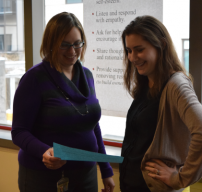 Teams and departments can work together to build collaboration and cooperation by registering for workshops and services through Organization Development, including customer service instruction and group consultations. 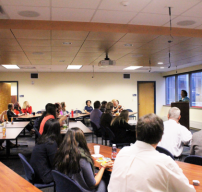 Team-building programs can help build stronger relationships between colleagues and managers and employees at Pitt. As an organization, Pitt is dedicated to creating a respectful culture and a welcoming environment through University-wide initiatives, feedback surveys, and conferences for faculty, staff, and managers. To be a part of this positive community, there are several opportunities to stay educated and involved, including online learning programs and the Performance Management Program.